1. 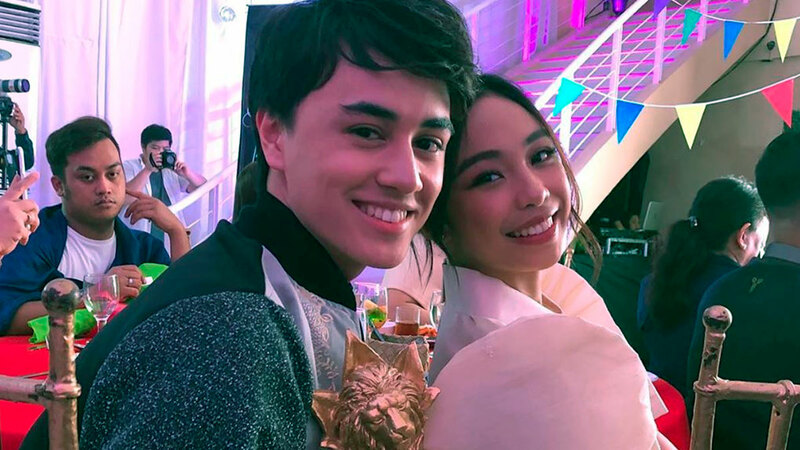 Maymay Entrata and Edward Barber just won the Love Team of the Year Award! Alex Gonzaga definitely caught Mikee Morada off-guard with this one! She attempted to show him a trick that would make the text on a sheet of paper disappear, and Mikee seemed to be in disbelief from the start. The IG post is captioned, "Magic trick na natutunan ko kay Kuya Luis!! Effective!! Galing nga!!!" Although it's been confirmed that Channing Tatum's new boo is Jessie J, the two haven't posted anything about their new relationship, until today! On Channing's Instagram, he posted a photo from the audience's side of Jessie's performances. The post reads, "This woman just poured her heart out on stage at the Royal Albert Hall. Whoever was there got to witness something special. Wow." Saab Magalona has been involving Pancho's late twin sister, Luna, in his life as much as she can, even taking him on a touching trip with the family to visit his sister's grave. Recently, she spotted Pancho smiling in his sleep and posted, "Took a video of Pancho because he was softly giggling while sleeping. Some say that when babies are laughing in their sleep, it means they are playing with angels. So I asked him if he’s playing with his guardian angel, his twin sister Luna. Watch the video to see how he responded." 5. Here's Gretchen Fullido holding a basilisk lizard! Looks like Liza Soberano isn't the only one who isn't queasy around animals that would normally have any of us running in the opposite direction! In an IG post, Gretchen Fullido wrote, "My new friend is called [the] “Jesus Christ Lizard” because it can walk on water. According to an article on National Geographic, the Jesus lizards, or basilisk lisards, accomplish the seemingly miraculous act of moving on top of water by generating forces with their feet that keep their bodies both above the surface and upright. I always look forward to @kuyakim_atienza’s animal trivia segment because I feel like a kid again and get to learn more about the animals being featured."